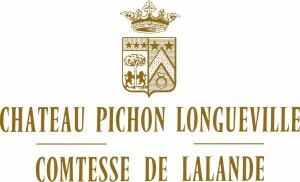 The 75 hectares (185 acres) of this vineyard border the property of Château Latour and stretch south of Pauillac towards the Commune of Saint Julien, whence it gets its extraordinary charm. The exceptional character of the wines produced here, are distinguished by their elegance and finesse. The temperatures were carefully regulated during the fermentation and the maceration to obtain an aromatic and silky expression of the vintage. Overall, the alcohol-tannin-acid balance was excellent. Malolactic fermentation was minimal due to low temperatures. The Spring of 2007 was wet with varied periods of sunshine. Similarly, summer was cool and wet with heavy showers in August. September was dry and sunny which enabled the grapes to ripen slowly under good conditions. Picking started on September 21st for the Merlot and October 2nd for the Cabernet Sauvignon.